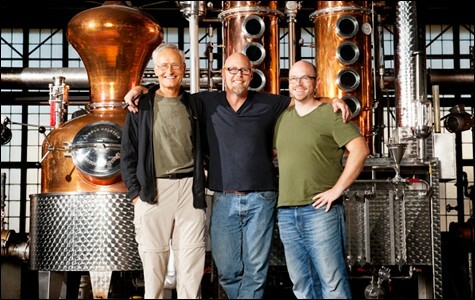 Celebrating the distiller with the liquid courage to change the way we drink. St. George's Jörg Rupf, Lance Winters, and Dave Smith. The year was 1982, and the alcohol landscape in America was looking pretty bleak — it was, as Lance Winters, master distiller at St. George Spirits dubbed it, "a white-wine spritzer world." The spirits industry was dominated by a few big-name players, and if people were drinking cocktails at all, they leaned toward those concocted to mask the flavor of the booze. Hence the wine coolers. Around the same time, a man named Jörg Rupf came to Berkeley from Germany to get a law degree. Like many adults in Europe, Rupf was used to enjoying eau de vie — a distilled beverage made from fruits and typically served as a digestif — but was shocked to find that Californians, with their abundance of amazing fruit, didn't even know what eau de vie was. So he decided to start making it himself. "It was a pretty crazy concept at the time, because no one was really making spirits that were made to taste like what they came from, let alone making spirits to taste the spirits at all," said Winters. "It was a concept completely foreign to our culture." Gradually, fueled by the public's growing interest in quality food, Rupf's "crazy idea" took off. 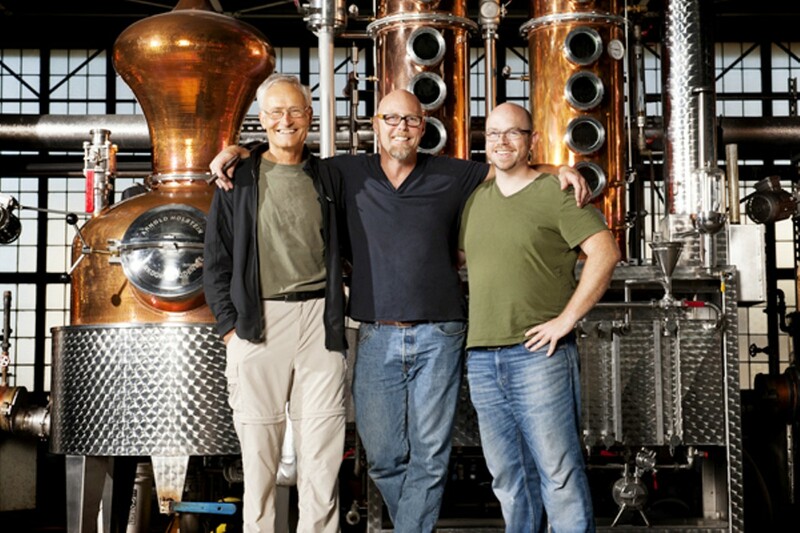 St. George Spirits would end up being the pioneer of the so-called "craft distilling" movement — which now includes hundreds of producers — and its products would eventually grow to include single-malt whiskey, gin, Hangar One vodka, and, as of the 2007 lift on a nearly century-long ban, absinthe. The event will include a behind-the-scenes tour showing how the spirits are made, followed by a panel discussion featuring Rupf, Winters, and St. George's "mad alchemist," Dave Smith, in conversation with other artisans from the spirits world. During the talk, guests will receive a "St. George timeline" of thematic cocktails — from a pear brandy to a single-malt whiskey to a terroir gin — that represent the evolution of St. George's craft production, all brought to the present through a sneak peek of St. George's new thirtieth-anniversary whiskey release. An Oakland storytelling series turns to local musicians for stories and sounds. A recent Kickstarter campaign to genetically engineer a glowing plant and distribute its seeds across the country has raised questions about the ethical responsibility of DIY scientists in the brave new world of synthetic biology.